Tradeable Items Available For All Steam Games in the Future? 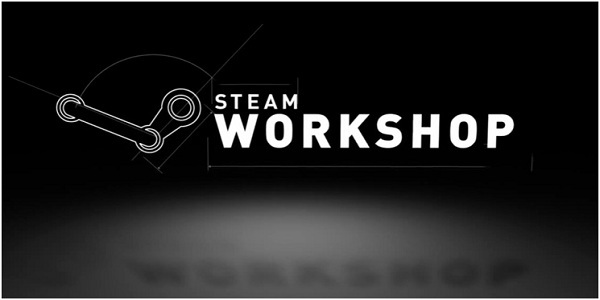 The Steam Workshop was launched late in 2011, and has since then paid out more than $57 million to creators of in-game items for Valve's own games like Team Fortress 2, Dota 2 and Counter-Strike: Global Offensive. 1,500 contributors spread out across 75 countries made themselves a fair amount of money by making these items. Because of what Steam describes as "challenges required in order to scale to a global audience of creators and players", paid Workshops has been limited to just a few games. However, after spending a lot of time creating what they believe will be a good system, curated Workshops recently opened for a few non-Valve games: Dungeon Defenders: Eternity and Chivalry: Medieval Warfare. "With today's Steamworks SDK update, we've released The Steam Inventory Service beta, a new feature available to developers with games or software on Steam. The Steam Inventory Service is a set of new Steamworks APIs and tools that allow a game to enable persistent items that have been purchase or unlocked by individual users without having to run special servers to keep track of these user's inventory." Although this is only available to users who opt-in to use the beta version of Steam, what this really means is that the unlockable item systems can be added to any game, and that items can be "marked as tradable through Steam or sellable via the Steam Marketplace." Which basically means that the vast and profitable economy of items that we have seem for a long time through Valve's own games is now opening to the rest of Steam's huge game selection. Now, this could be both good and bad. People that have the know how and interest of making this kind of content have a larger playing field, and the potential is there for some decent money to be made. Lots of players will most likely enjoy some additional content, both free and paid. Game developers can add items to their games to reward players for staying around, or just do what Team Fortress does: sell hats. People seem to love those hats, so that must be a clever thing to do. On the other hand, like most new features, this has the potential to be abused. If game developers start building their games with economies like this in mind, I'm not certain that players are the ones coming out on top. What it most certainly will do though, is help keep more people stay loyal to Steam as their go to place for PC games, as these tradeable items won't be available anywhere else. As the Steam Inventory Service still is in its early stages, it's hard to tell where it will take us, in the end it is up to the developers to decide. I do believe I know a few players that wouldn't mind having the option to sell their leftover legendary items from Borderlands on the Community Market though. And if given the opportunity, I'm sure a lot of people would help make weapon skins and character customizations in several games for the community to enjoy. We will just have to see how many developers will join in, and how they choose to utilize the opportunities this presents. What do you think about these new features? Do you want to see hats in GTA VI? How do you think this will play out?